like Bruce Leroy and she looked absolutely gorgeous in her green gown. 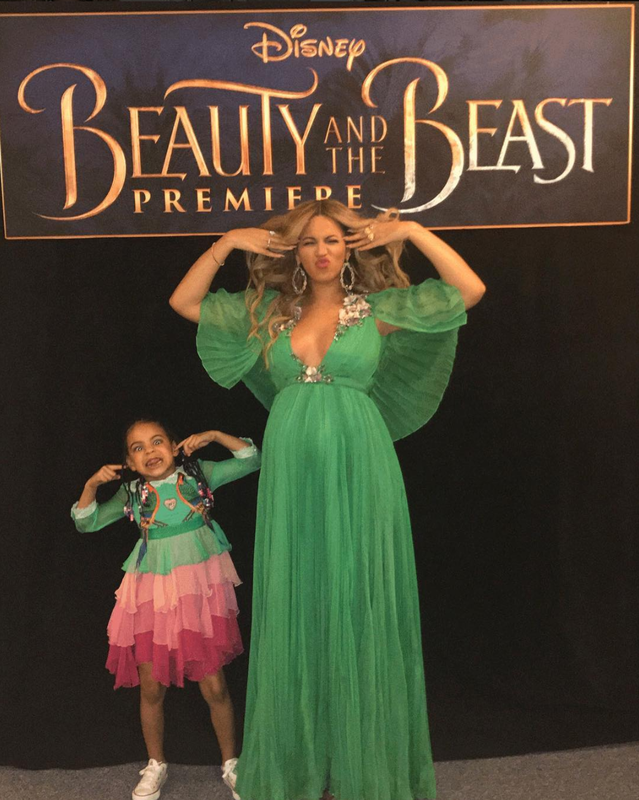 Blue Ivy was adorable as usual in her Gucci velvet-trimmed tiered silk-chiffon dress, her chucks, and her beads. And Jay was all smiles with his queen and princess.